New skincare additions // Superdrug B, Cruelty Free! Hello lovely people! I hope you're all having an amazing bank holiday weekend! I've officially finished my second year of uni now, YAY! I've done a bit better than I thought I had but I'm still waiting on a couple of results, so hopefully no retakes. I spent some time in Leeds with my boyfriend and picked up a few things from Superdrug which I thought I'd share with you all. I first discovered the Superdrug skin care brand B. when I was looking for a new cruelty free moisturiser, I ended up choosing the phase 1 gel one and I was seriously impressed. I love that they have the leaping bunny logo, and I LOVE the formulas of most of their products. I did pick up a night cream which I had to get rid of though because It made me break out. I'm always looking to upgrade my skincare routine, but hate heavily perfumed, alcohol heavy products. Superdrug had an amazing offer of buy one get one free on their products, minus the face wipes, so lots of bargains! The first thing I picked up was the B. 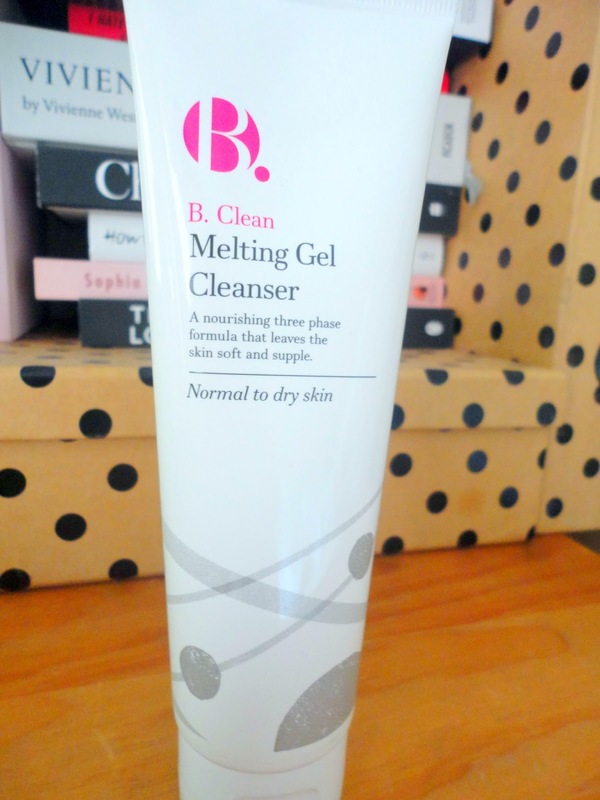 Clean melting gel cleanser, which I have heard is an amazing dupe of the Liz Earle cleanse and polish which is one of my holy grails. This costs £6.99 and although I haven't had the chance to try it yet, it smells amazing! I also love that there's not a huge amount of ingredients and is alcohol free, so hopefully my combo skin wont get too dried out. Secondly, I picked up these micellar cleansing wipes. Now, if you know me you'll know how much I hate using face wipes to take make up off, I think they're the devils product for skin care. However, for Christmas I got a pack of Superdrug cleansing wipes and ended up using the whole pack because they were so nice and came in very handy after a night out, or when I was at my boyfriends house. These are normally £2.99 for 24 but at the minute they're on offer for £1.49, bargain! They are alcohol free, colour free and fragrance free so they don't dry your skin out and they're really soothing actually. Next up is the B.Revealed glycolic cleansing peel which is £7.99 and comes with the nicest muslin cloth I've ever used. So, I was a bit nervous to use this, manly because I have no idea what glycolic means (sounds scary) and also the word peel (I don't want to peel my skin off you know?) But, after using this once, oh my, It's sooo lovely. It left my skin seriously refreshed, super clean and all my red/pink patches almost disappeared because it was just so soothing. It's sort of like a creamy gel which you leave on your face for 3 minutes then wash off with the muslin cloth, a really fantastic addition to my collection. The only product which I'm not sure about is the B. Pure micellar oil which costs £6.99. 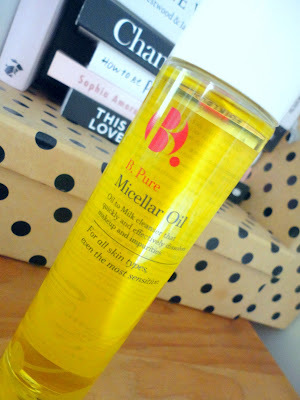 It is SO oily, I was kind of expecting it to be more of a light cleansing oil but no, It's like rubbing vegetable oil over your face which I really didn't like. I definitely wouldn't use this on my eyes, but it is really good at removing stubborn make up especially around the nose area and is really moisturising on your skin, a little goes a long way. Finally, the B. 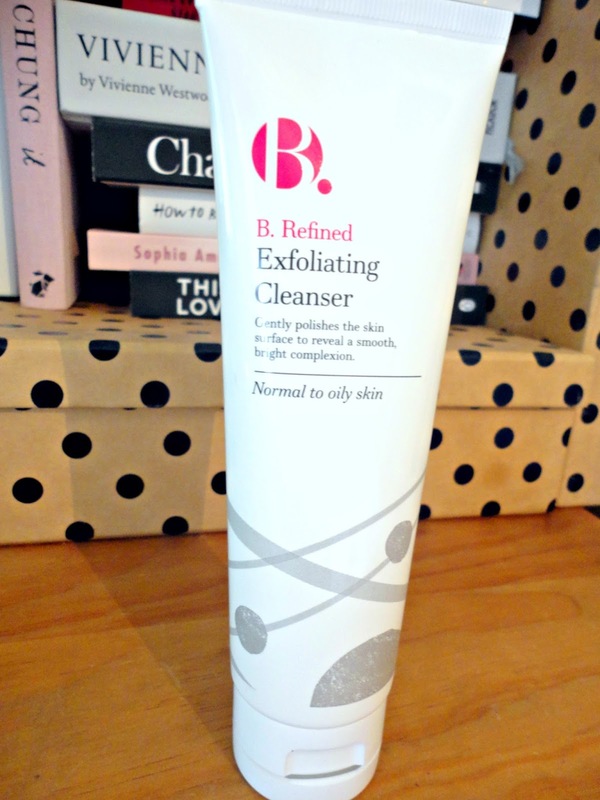 Refined exfoliating cleanser. I am in desperate need of a new exfoliator as my little Liz Earle sample is running out so I picked this up to try and I was not let down. I love the refreshing smell and I love that it's not really gritty or harsh, it's a light exfoliator which you can build up if you need to. For £5.49 it really is a bargain and well worth it! I hope you enjoyed reading about my new skincare purchases, I couldn't recommend Superdrug's B brand more, it's super affordable and they've done a really good job at developing ingredients and formulas to make the perfect, affordable skin care! Yay! Have you tried any of the B brand skin care or have you found something recently which you loved? !